I love my family and friends! I am forever the queen of water and watermelons and unicorns and blue and anime and kawaii and puppies!!! No one can ever steal vaporeon from me! TRUE QUEEN FOR LIFE!!!! People are copying my OCs and their names!! I love Pokemon! 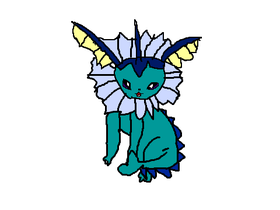 Vaporeon and Eevee are my pokemon!